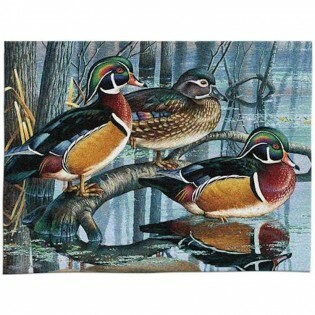 These colorful wood ducks wade in at the edge of the marsh. Cynthia Fisher is known for her realistic wildlife. This Backwater Woodies - Duck Wall Hanging would make a great gift for any lover of nature.